Control who is able to access your building or certain areas. 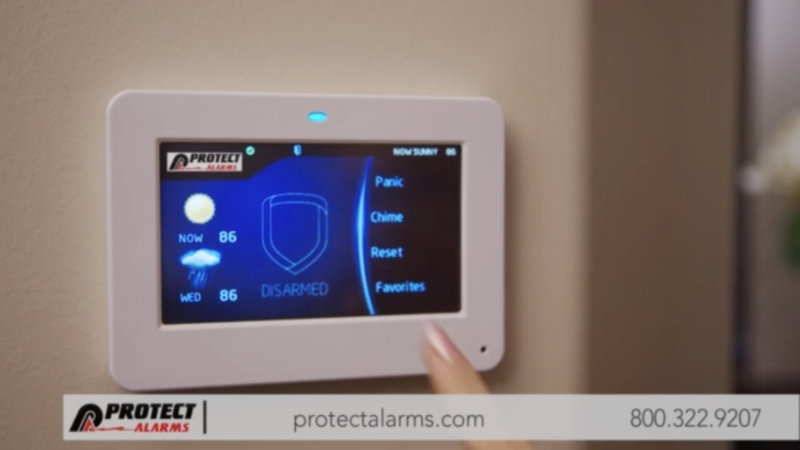 Control security, lights, doors, thermostats and more remotely from your phone, tablet, or computer. Protect Alarms is family owned and operated, providing a security business and fire detection service for homes and businesses for 40+ years. Our main objective is to provide our clients with superior protection that fits your budget, while building a long-lasting bond with our excellent customer service. Take pride in knowing your safety and security is our number one concern. We can proudly say our customers are names and faces, not account numbers. Call our office in Allentown PA to speak with one of our own live staff 24/7, not an answering machine. I would enthusiastically recommend this company to anyone who wants the peace of mind that comes with a very good alarm system. Call us GET YOUR FREE QUOTE TODAY!